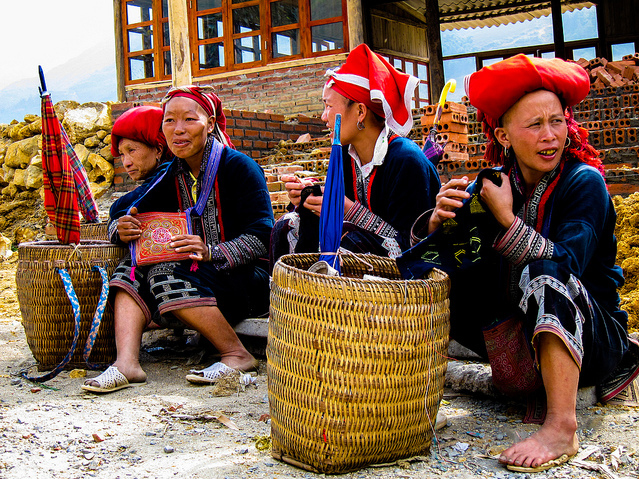 In this trip, you will visit Tay and Dzao villages; talk with them to understand their local daily life, their culture and traditions and enjoy beautiful landscape and scenery along the trek. 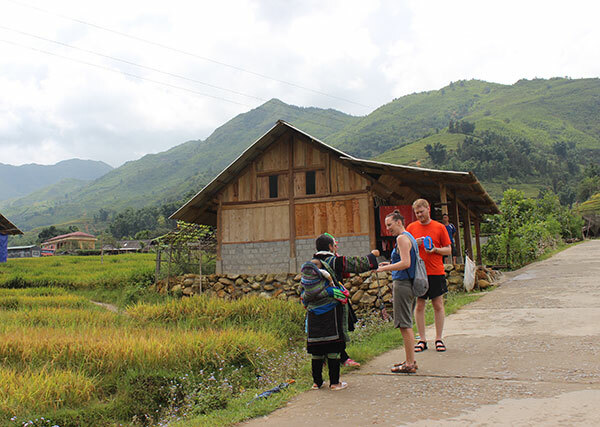 Met up at your hotel by local guide and driver then transferred to Su Pan Village. 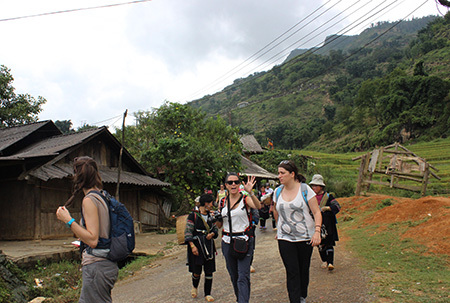 There we start our trekking day by walking downhill through the breath-taking scenery. 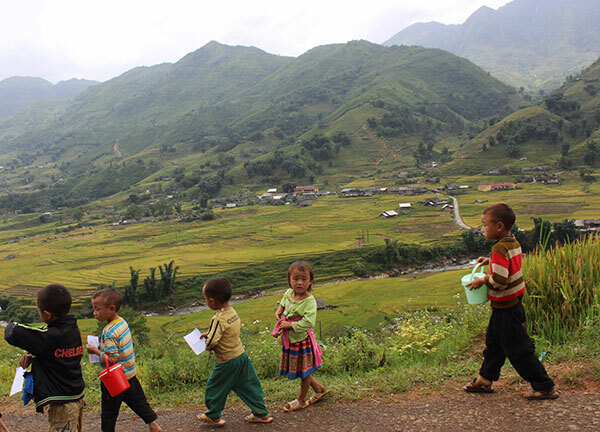 We will trek through rice paddy fields until we reach Ban Ho village. 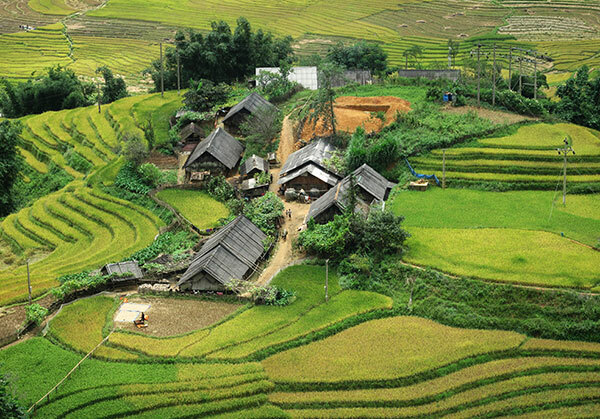 This is a Tay village. We have a short visit of local house before a suspension bridge the nice house where your guide will prepare your delicious lunch. After lunch, we continue our walk to another village. 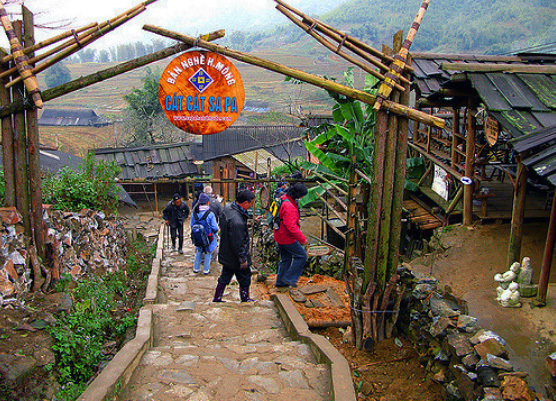 This is a Red Dao village this time, called Nam Toong. Stop by a nice house to taste a cup of tea before heading back to Ban Ho. Swimming is possible but you absolutely should check your guide’s advice before jumping on the water. 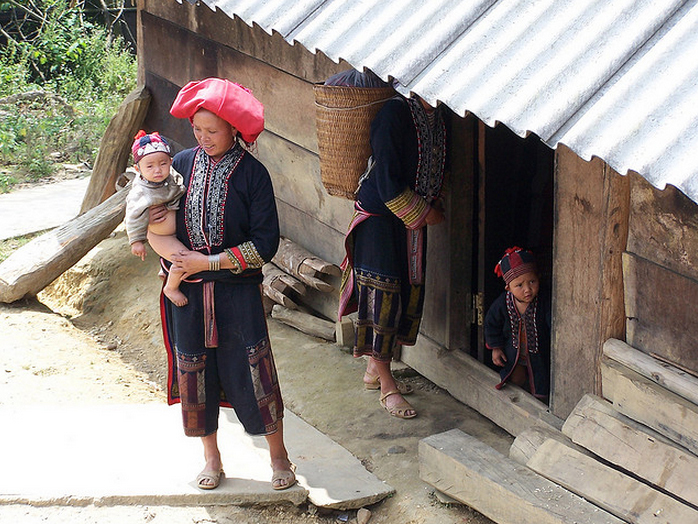 Our vehicle is waiting for us for the journey back to Sapa from Ban ho. Approx: 2 hours driving/ 5 hours walking/ 1-hour lunch.